Do want to understand how networks are changing business, culture, and politics? Do you want to unleash the power of crowd leadership? Then you should read New Power: How Power Works in Our Hyperconnected World — and How to Make It Work for You, the new book by our friends Jeremy Heimans (Purpose) and Henry Timms (92Y and #GivingTuesday). New power is a way of harnessing the power of crowds. A diverse range of leaders from Lady Gaga to Pope Francis, from Black Lives Matter to the National Rifle Association (NRA), from GE’s Beth Comstock to T-Mobile’s John Legere have successfully deployed new power strategies. New power leaders signal to the crowd, showing people that they are powerful and inviting them to participate. They know how to structure that participation, driving increased engagement and commitment over time. New power leaders also have the ability to shape the values and the agenda of the crowd in ways that go beyond the boundaries of their formal or institutional authority. In the “New Power” book, Jeremy and Henry build on the ideas, arguments, and stories that they first introduced in their 2014 Harvard Business Review article and TED Talk. Join Beth Comstock and “New Power” authors Henry Timms and Jeremy Heimans on Facebook Live, Tuesday, April 3, 2018, 1 PM — 1:45 PM (Eastern Daylight Time). Post your questions on the Facebook event or submit them during the live feed. Beth, Henry & Jeremy will answer as many questions as possible. The challenge was to define and comment on cultural movements in a tweet. Given the brevity of the medium, I opted for the haiku form to help give me some constraints, and for the LOLZ. Also, traditional Japanese haiku is more than just the 5-7-5 syllable structure, as the poetic form often references nature. 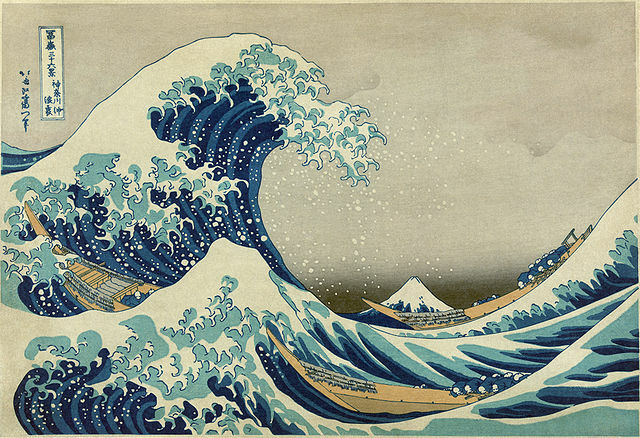 I decided to play with the metaphor of waves to describe the nature of cultural movements. Instead of controlling the message, marketers must learn to relinquish control and let the movement do what it will with that message. Companies must learn to stop talking about themselves and join in a conversation that is about anything but their products.